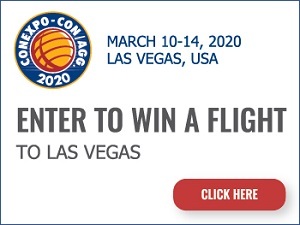 For more than 20 years, Fecon has built a reputation for building the USA’s most durable, efficient and versatile mulching heads on the market. 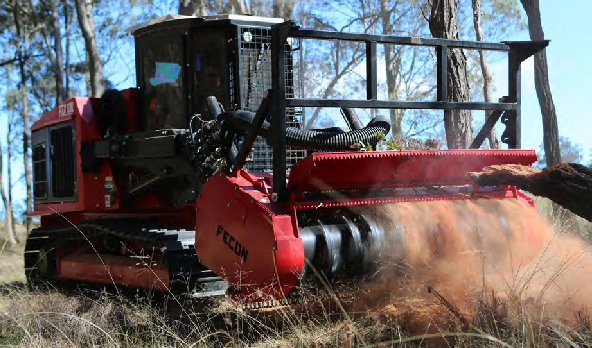 Now, after launching only 12 months ago, Fecon Australia has become one of the leading suppliers to our national forestry industry. Why? Because Fecon attachments are just that good. Perhaps Fecon’s most popular line-up is the ‘Bull Hog’ range of forestry mulchers. 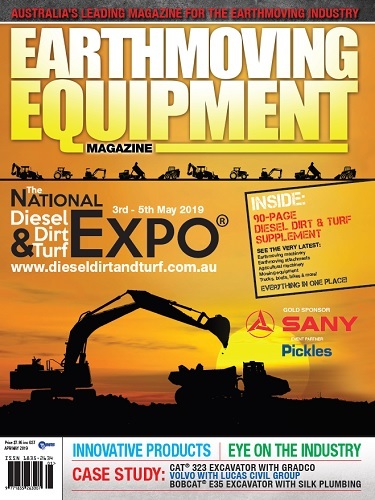 With models to suit 5 to 45 tonne excavators, skid steers and track loaders with 90 to 170 litres per minute of hydraulic flow, and PTO machines including agriculture tractors with 80 to 450 horsepower, Fecon has a mulcher attachment for virtually any machine. With a Fecon Bull Hog mulcher paired with a high flow skid steer or positrack, you can quickly fall and mulch trees up to 20cm in diameter with ease, and intermittently process even larger trees when required. Built tough to maximise durability, efficiency and value-for-money, Fecon Bull Hog mulchers are the smartest equipment investment you’ll ever make. Whilst there’s a Bull Hog model available to suit many different types and sizes of machine, the versatility of Fecon’s Bull Hog mulcher range doesn’t end there. Operators have the choice of two different rotor systems, offering maximum customisability to suit every user’s needs. 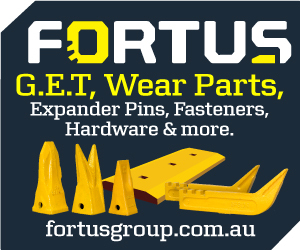 The first rotor system available is the ‘FGT’ – a fixed tooth drum-style configuration featuring a smooth rotor surface, spiral tool pattern, and innovative tool shape for smooth, efficient cutting. 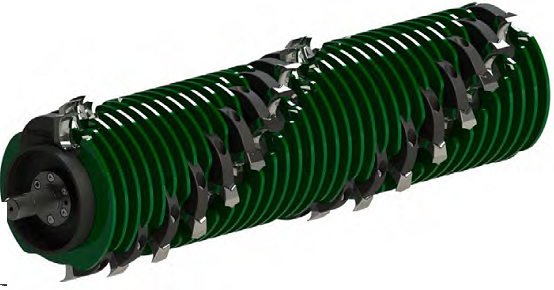 In addition to outstanding performance, the FGT rotor system is built to last in the most difficult of mulching applications. In addition, Fecon’s FGT rotor system can be equipped with multiple tool options that allow contractors to quickly configure their mulcher to suit diverse conditions. Standard Dual-Carbide tools offer the greatest all-around reliability and performance for most contractors. Severe Duty carbides include wear plates added to the body of the Standard Dual-Carbide. Stone tools offer the greatest durability and wear characteristics against rock and abrasion. The Samurai Knife delivers increased productivity and finer, more consistent chip size. Finally, the Viking Sword Knife, which offers increased productivity with improved durability, along with a more consistent chip size. 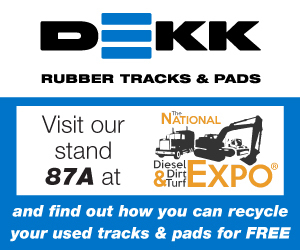 The second rotor system available is the ‘DCR’ – or Depth Control Rotor – which brings a superior level of performance and value to mulching, controlling the depth of bite and directing material flow so that energy is reserved for production. The innovative DCR cuts quickly, delivering better fuel economy and more uniform particle size. The DCR system leverages the reversible Samurai Knife tool, and can optionally be equipped with the new Viking Sword tool. The rotor and the tool are paired for optimal performance and long-lasting productivity. Depth control rings of the DCR system work with the Samurai knife to enable more cutting with less horsepower. The shape of the Samurai Knife edge slices as it chips, providing greater forgiveness on rock than straight-edged tools. Depth control rings lend further impact protection to the tool body and reduce shock loading to the mechanical or hydraulic driveline. This overall enhanced control and efficiency delivers never-before-seen operator satisfaction in a mulching head attachment. 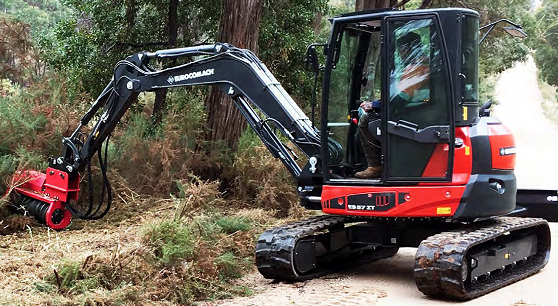 Another popular feature of Fecon Bull Hog mulching heads is that all Australian models are equipped with large 107cc high performance variable displacement hydraulic motors, built by Rexroth; the benchmark for hydraulic quality. Unlike fixed displacement motors that are used in competitor mulcher heads, variable displacement motors are load sensing, which means they automatically adjust speed and torque ratios in order to minimise drum stall. As a result, they are sometimes referred to as 2-speed drive motors, and their overall performance significantly increases productivity whilst also reducing hydraulic temperature and fuel burn, creating maximum efficiency for your Bull Hog mulcher attachment. Additional qualities of Fecon’s range of Bull Hog mulchers include severe duty, large diameter drums, which are built to last and provide superior cutting force, ideal surface area engagement and greater inertia than other mulchers. The heavy-duty pin-on adjustable push bar is built to last, and features serrated ears, which direct material to better feed the mulcher head. Bolt-on curved skid shoes made of AR400 steel are hard wearing and designed to reduce ploughing of material. A hydraulic trap door designed to contain debris and achieve finer material sizing is also standard in Australia. Ultimately, all Fecon Bull Hog mulcher heads are designed and built heavy-duty to last in the toughest mulching applications, whilst offering maximum efficiency and versatility. When you experience the Fecon difference, you’ll know it.